IMF wants to ensure that it meets the cooperation requirements. The International Monetary Fund issued a statement on the results of the led by Ron van Ruden mission that was in Ukraine from 3 to 17 November. "The mission held constructive discussions with the authorities on policies needed to complete the third review under the EFF arrangement. 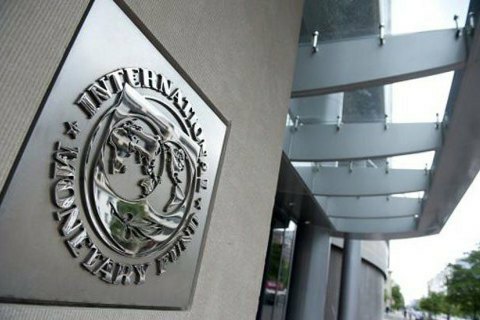 While good progress has been made, the authorities need some more time to implement policies to ensure medium-term fiscal sustainability-including adoption of the 2017 budget consistent with program targets-safeguard financial stability, and tackle corruption," said the IMF end of the mission statement. The statement also commented on the government's decision to sharply increase the minimum wage. According to the Fund, Ukraine needs to ensure that wage increases are consistent with improvements in labor productivity after the increase in the minimum salary. The Fund believes that the policy of the Ukrainian authorities should focus on accelerating reform of the large and inefficient state-owned enterprise sector, improving the business environment, and tackling corruption to attract investment and raise the economy's potential. "Decisive steps particularly need to be taken to fight corruption, which remains the most frequently mentioned obstacle to doing business in Ukraine. While there has been progress in setting up new institutions, including the National Anticorruption Bureau of Ukraine, and the publication of high- level officials' asset declarations was a major step, tangible results in prosecuting and convicting corrupt high-level officials and recovering proceeds from corruption have yet to be achieved," the IMF mission said. It is necessary to continue fiscal consolidation to ensure debt sustainability, supported by pension reform. Regarding monetary policy, the government should maintain a cautious monetary policy targeted at further reducing inflation and rebuilding reserves within a flexible exchange rate regime. The mission calls upon the Ukrainian authorities to remain united in their determination to continue to advance reforms, resisting populist pressures and overcoming opposition from vested interests. Ukrainian experts, surveyed by Gorshenin Institute believe that the probability of getting the next tranche from the IMF in 2016 is very low.